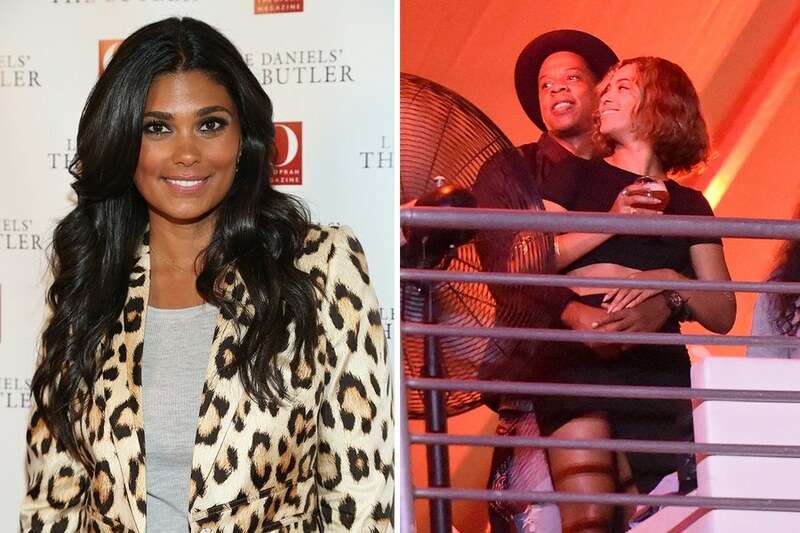 Beyoncé Fans Target Rachel Roy As "Becky With the Good Hair"
Why did Beyoncé Fans targeted Rachel Roy? This issue hit the social media after the Album “Lemonade” was released! Read the article below. On Saturday night Beyoncé dropped her highly anticipated HBO special and a full-length album both titled Lemonade. Filled with lyrics and imagery that tell the tale of a woman scorned, it seemed to many amateur observers to be a working through of the rumored infidelity of her husband, Jay Z. Less than 24 hours after the album dropped, social media has been rife with theories about the state of the Carter-Knowles marriage, and has centered on Rachel Roy, the fashion designer and ex-wife of Jay Z’s former business partner Damon Dash. As of Sunday, Roy’s cryptic Instagram comments, had driven Beyoncé’s ferociously loyal fans into overdrive. That was all the Internet needed, given that Roy had previously been connected to rumored Beyoncé-Jay Z marital strife back in 2014. At the time, tabloids cited Jay Z’s close friendship with the designer as the reason Solange Knowles attacked him in the elevator of Manhattan’s Standard Hotel after that year’s Met Gala. Roy may have posted her response to get out in front of the Lemonade backlash, but she possibly wasn’t prepared for the coordinated efforts of Beyoncé fans. The designer’sWikipedia page came under attack and the comments on her Insagram post turned into such a bee-emoji-crowded frenzy, she locked her account down. Roy did post a comment on Twitter obliquely calling out the Beyhive for online bullying. Roy probably should have seen that coming, but an unforeseen consequence of the online dust-up is that Food Network star Rachel Ray (who does have good hair, by the way) is getting caught in the crossfire with several people confusing her for Roy. Watching #Lemonade and I guess Jay-Z has finally rounded out his problems to an even 100. But the couple seem to be in good standing whatever the case may be—appearing lovingly by each other’s side at countless events including Solange’s 2014 wedding and sealing a 2015performance of “Holy Gail“ with a sweet public kiss. Beyoncé incorporated images from her own wedding, her pregnancy, and even included her daughter, Blue Ivy in the film. The video for “Sandcastles” includes tender moments between Jay-Z and Beyoncé and leans heavily on the theme of forgiveness. “Although I promised that I couldn’t stay, baby, but every promise don’t work out that way,” she croons in the raw, stripped-down track.